It will be the future, not the past. Vision will be exhibiting at the National NHS Clinical Leaders Network Congress tomorrow. With the publication of the NHS Long Term Plan in the first week of the New Year, the focus of the Congress has pivoted away from reflecting on the Five Year Forward View to concentrate on the new master plan. Large GP practices (30,000 to 40,000 patients) will receive funding to work together to deal with the pressures of primary care by looking at hub working and creating genuinely integrated teams. These goals are also at the centre of Vision’s objectives for primary care. 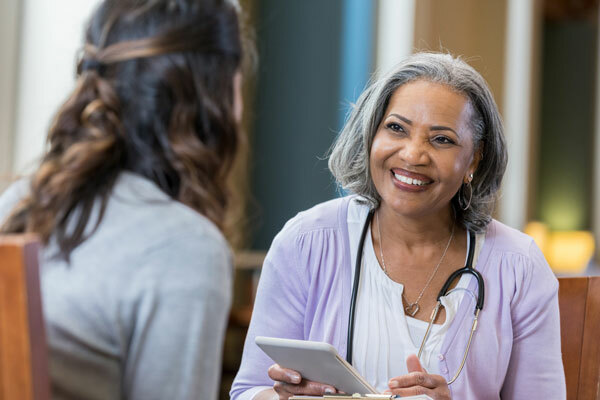 Using our proactive population health tools we can help practices focus on moderate frailty to enable earlier detection and intervention to treat undiagnosed disorders, such as heart failure. And at its heart, Vision is a shared care system. Designed from the outset to make patient information and centralised appointments available across multi-speciality teams, clusters and federations. Read the blog which lists 5 alternative patient-focused uses for shared care. Vision’s tools, which are compatible with the major GP software systems, can examine a practice’s patient data sets and draw out people identified as having the greatest risks and needs. That will allow practices to apply for funding to target people with physical and mental needs which, according to the Long Term Plan, will include musculoskeletal conditions, cardiovascular disease, dementia and frailty. The plan has a vision of integrated primary and community teams working with patients to maintain their independence: for example, 30% of people aged 65 and over, and 50% of those aged 80 and over, are likely to fall at least once a year. Falls prevention schemes, including exercise classes and strength and balance training, can significantly reduce the likelihood of falls and are cost effective in reducing admissions to hospital. Vision tools like Outcomes Manager can help those teams work together and share patient information. The NHS Clinical Leaders network is a great forum to discuss these issues and a fantastic organisation which we are always happy to support. The CLN is a multi-disciplinary national network of frontline practising clinicians enabling them to develop personally and professionally so that they can more effectively support and advance their work. Led by Chairman, Dr Raj Kumar, the Vision team is looking forward to talks from: Professor Stephen Field, chief inspector of general practice at the CQC; Andy Burnham, the Mayor of Manchester and former Secretary of State for Health; Joe Rafferty, CEO of Merseycare, and Keith Strahan, head of the Social Care Programme at NHS Digital. The event is split into morning and afternoon sessions consisting of talks, presentations, workshop seminars and panel discussions. There will be an exhibition area located near to the main conference area where Vision will have a stand.